Recently I was informed by my son that my lifestyle is quite different than others. Excuse me? Apparently going to bed early each night and waking around 5a.m. is not the norm for his contemporaries. Well, that, I somewhat understood. Marathon season is almost here. Really? Does it ever really end here in Central Florida? With weather like ours, marathon training is definitely year round. In fact, our MarathonFest Spring session is underway right now with many of our participants training for popular spring events, like the Jacksonville 26.2 with Donna Finish Breast Cancer event and even Boston Marathon in April. Coach Susan Paul thinks that 2:45a.m. is sleeping in on a Saturday morning J. Susan helps coordinate more than 800 marathoners and half marathoners each year with the help of our incredible team of volunteer group leaders. Our fall MarathonFest and the Orlando Galloway programs begin in June and if you have ever considered training for a half or full marathon these are the groups that will not only help you complete your goals but they are run by the most encouraging people you’ve ever met. This is a big year at Track Shack. 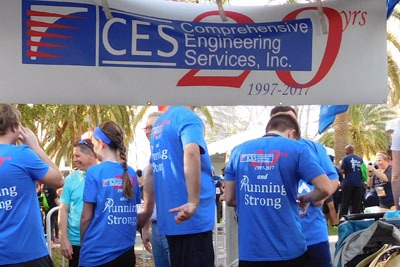 We are preparing for a celebration of 35 years of running and keeping Central Florida fit this August. It is really amazing to even think back to the summer of 1977 when I first heard about a store opening up that was just for runners. How exciting it was to think that there were others out there in the big vast world of Orlando and Winter Park that enjoyed running like our little team at Winter Park High did. And then a year later I was a part-timer there, working with Jon, my friend and running encourager and coach. Fast forward to the next year when Jon and I were dating and I was getting ready to go off to college! Oh my! Where did those years go? Reminds me of the silly song, “Jon and Betsy, sitting in the tree, k-i-s-s-i-n-g. First comes love, then comes marriage, then comes Emma in the baby carriage” (Baby jogger, in our case!) Its 2012, both our kids are college grads themselves and we are still doing the little Track Shack thing with the best encouragers and staff anywhere! Whew, just thinking of all we do with the store and our many events, makes me glad I’m still running, because that is certainly what gives me my energy each day. To encourage a friend, a relative, a co-worker or a customer to have a healthy lifestyle is like giving them a gift. 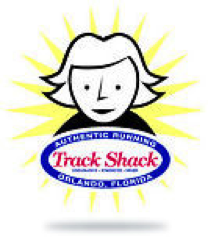 Each day we at Track Shack, are in a position to encourage, to inspire and support people around us. We even take time to help each other and encourage each other. So many of staff are training for their own events and recently, Astrid ran her first marathon at the Disney Marathon. It was so awesome to be at the finish and seeing the enthusiasm, exhaustion yes, but happiness all over her face as she crossed that line. Kim and her now husband Tyler and their entire bridal party finished the Ragnar Relay in Key West recently and then they were married right at the finish line! We certainly have lots going on at Track Shack these days and supporting each other, and encouraging one another makes us quite the team. It is a great feeling to know that we have the opportunity to encourage you, our customer, to commit to a healthy lifestyle. Our training programs like MarathonFest makes such a difference on those early mornings as we prepare and train for upcoming events. It really is all about having a group or an accountable partner to help make training easier and more fun. 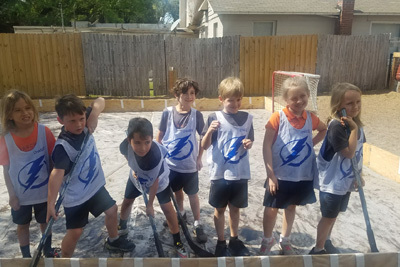 These programs often end with specific goals and many runners in our 5 and Dime program are aiming toward the 35th annual ZKS Winter Park Road Race on March 24. 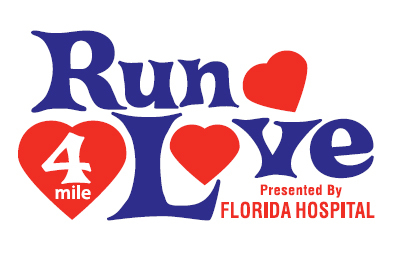 This 10k and 2 miler are truly events no one should miss. There is an event for everyoneJ. Even our younger kids can do the mile or shorter events like the 200-400 yard dash. The 10k is our premier event and participants will receive an amazing medal. I’m not sure where most of my marathon medals are but this is one to keep! Seems like 35 is the magic number in running in Central Florida this year! Stop by Track Shack soon and say hi. Tell us about your goals and what encourages you. Is it your running group, your coach or your accountable partner? Hey, it could be those cute new shoes you just bought from your very knowledgeable staff person at Track Shack :).